The town itself, as a town, independently of its sea and its suburbs, was, to me, pleasant and interesting. In the first place, though it is the capital of an Australian colony, and therefore not yet a hundred years old, it has none of those worst signs of novelty which make the cities of the New World unpicturesque and distasteful. It is not parallelogrammic and rectangular. One may walk about it and lose the direction in which one is going. Streets running side by side occasionally converge – and they bend and go in and out, and wind themselves about, and are intricate. Philadelphia, which has not a want in the world, and is supplied with every luxury which institutions can confer upon human nature, is of all towns the most unattractive, because it is so managed that every house in it has its proper place, which can be found out at once, so long as the mind of the seeker be given to ordinary arithmetic. 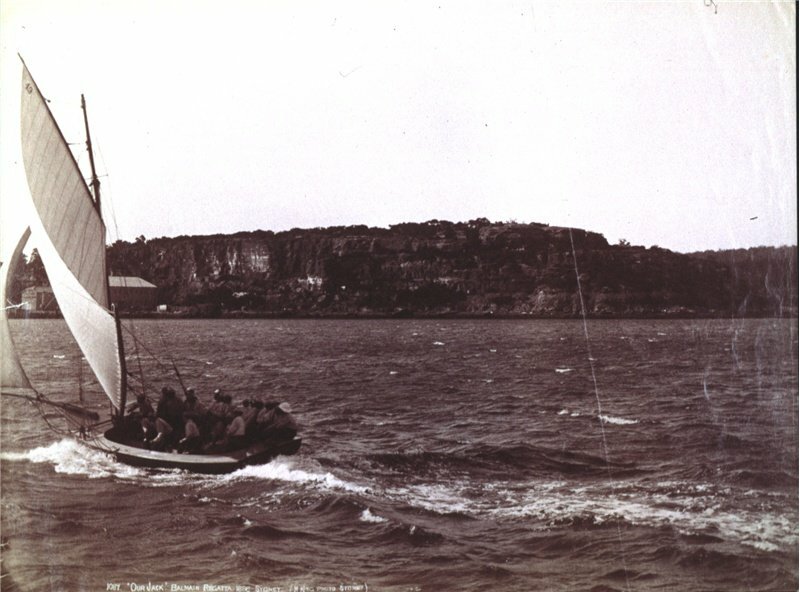 No arithmetic will set the wanderer right in Sydney;- and this, I think, is a great advantage. I lived at 213½ in a certain street, and the interesting number chosen seemed to have no reference to any smaller numbers. There was no 1, or 5, or 20 in that street. If you live at 213 in Philadelphia, you know that you are three doors from Two Hundred and Ten Street on one side, and seven from Two Hundred and Twenty Street on the other. Information conveyed in that manner is always to me useless. I forget the numbers which I should remember, and have no aid to memory in the peculiarity either of the position or of the name. 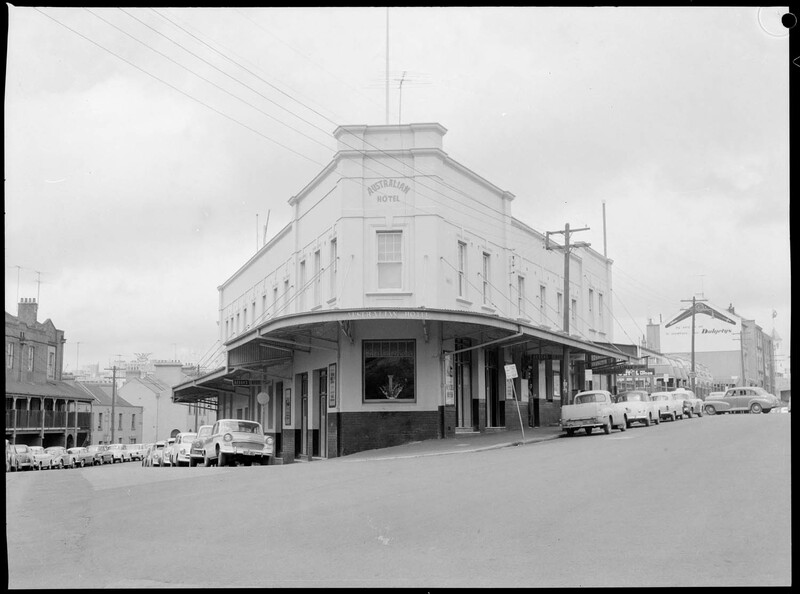 New South Wales Police Department picture of street corner showing the Australian Hotel, Cumberland and Gloucester Streets, The Rocks, 1960.